Huge first-down conversion for #Gophers . On third-and-6 from the Wisconin 39, Tanner Morgan hits Tyler Johnson on a slant for a 13-yard gain to the 26. #Gophers force three-and-out. End third quarter. Gophers lead 23-7. Wisconsin punting from its 31. Touchback on kickoff. Wisconsin starts at its 25. #Gophers drive to Wisconsin 24. Emmit Carpenter 42-yard field goal is good, and Minnesota leads 23-7 with 1:2 left in third quarter. Julian Huff, filing in for Cashman, gets the INT off tip by Thomas. #Gophers Julian Huff makes diving interception on a Hornibrook pass that was tipped. Gophers have ball at their 45. Wisconsin starts at its 12 after holding penalty on kickoff. Jonathan Taylor quickly moves it to the 32 with a 20-yard gain. #Gophers Mohamed Ibrahim gains 5 yards on third-and-9. Emmit Carpenter kicks a 23-yard field goal to boost the lead to 20-7 with 7:47 left in the third quarter. Facing third-and-9 from the 10, #Gophers call timeout, their first of the half. #Gophers Daniel Faalele called for flase start. First-and-15 from 16. Badgers get called for pass interference. #Gophers have it at the 11. #Gophers on move, Mohamed Ibrahim has 18-yard gain up middle to Wisconsin 29. Badgers go for it on 4th and 4. Incomplete. Gophers bring pressure and hurry throw. Wisconin takes over at its 25 after fair catch on kickoff to open second half. The second half is underway! Good vibes only please #Gophers . There's a lot of game left. Alex Hornibrook hits Jake Ferguson for a 7-yard TD play with 1 second left in the half. 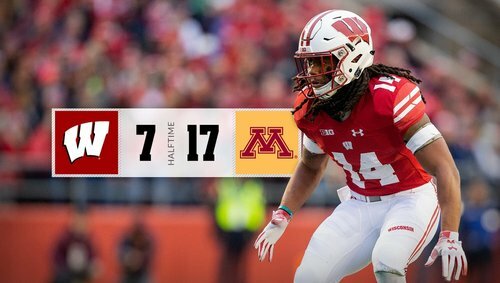 Badgers cut #Gophers lead to 17-7. Ferguson TD catch with 1 second left. Big swing at end of half. 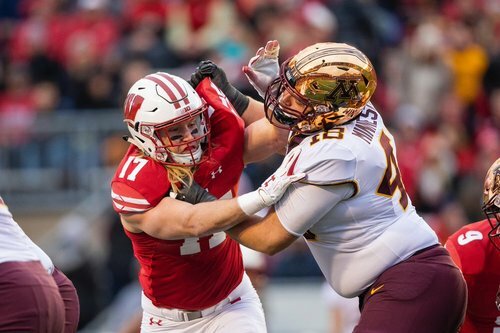 Wisconsin calls timeout with 6 seconds left in first half and has ball at the Gophers 7 after 15-yard gain on draw by Garrett Groshek. Badgers have ball at 7 yard line with 6 seconds left. No timeouts. 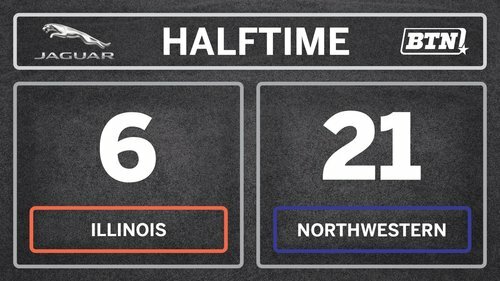 Businesslike half at Ryan Field as @NUFBFamily hunts the 🎩. Efficient offense. INT on defense. Special teams TD. Lots of things went favorably for Gophers in first half. A wide-open A.J. Taylor drops a third-down pass that would have went for a first down for Badgers. Wisconsin punts, and #Gophers Demetrius Douglas breaks free for a 69-yard punt return for a TD. Gophers lead 17-0 with 1:05 left in half. Big-time swing there. Badgers don't get first down because of dropped pass and Gophers return for TD. And a punt return for TD by Douglas. Incredible. 17-0 Gophers pending PAT. Huge drop in third down. That would have been big gain for Badgers. Instead, Gophers get ball back. Touchback on kickoff. Badgers start at their 25. The #Gophers call timeout and after all that...the #Gophers pull some magic out of the 🎩 and Mo runs in for the TD! #Gophers Mo Ibrahim goes 10 yards for the touchdown on fourth-and-1. Gophers push lead to 10-0 with 2:21 left in the first half. Timeout Minnesota || Two minutes left in the second quarter. Down 3-0. Ball is moved to the 9, and officials are measuring.